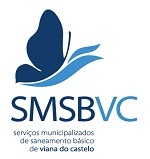 Viana do Castelo | Conference Viana Abra: "Results and Prospects"
The sanitation municipal services of Viana do Castelo (SMBSVC), an ACR+ member, will hold the Colloquium Viana Abraça - Valorisation of Organic Waste in Viana do Castelo: Results and Prospects on 17 April 2019. The event will be hosted by the IPVC School of Technology and Management of IPVC, located on Avenida do Atlântico. SMSBVC encourage citizens and different stakeholders to attend this open event in order to share their views on the challenges of valorisation and selective collection of bio-waste in the context of the Circular Economy.